Michael E. Schneider is a founding partner of LALIVE. 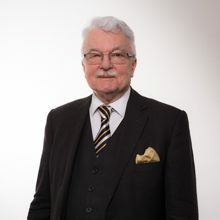 He has practised in international arbitration for more than 40 years as counsel in ad hoc proceedings and under various rules, including those of the ICC, ICSID, LCIA, Swiss Rules, Stockholm Institute, the Cairo Regional Centre for International Commercial Arbitration (CRCICA), Dubai International Arbitration Centre (DIAC), European Development Fund, UNCITRAL, and before other international bodies, including the WTO Appellate Body and the United Nations Compensation Commission (UNCC). He has also acted as arbitrator (chair, sole or co-arbitrator) under the rules of many institutions both in Switzerland and abroad. Mr Schneider’s main areas of practice are disputes involving States and corporations in construction, industrial engineering and infrastructure projects, natural resources (in particular oil and gas), pharmaceuticals, telecommunications and investment disputes. He has specific experience in managing large and complex disputes, organising and leading teams of specialists from different fields and different legal and cultural backgrounds. Mr Schneider is the immediate past president of the Swiss Arbitration Association (ASA). At ASA, he developed inter alia the Arbitration Practice Seminar organised annually since 1997 with civil law and common law practitioners. He was vice chair of the ICC Commission on Arbitration until 2014, and has been a member of several of its working groups (1998 and 2012 revisions of the ICC rules, construction, pre-arbitral referee). He chaired the UNCITRAL Working Group II (Arbitration) at its Sessions in New York and Vienna (2006-2010) on the revision of the Arbitration Rules and on the revision of the Notes on Organizing Arbitral Proceedings (2014-2015) and is now Vice-Chair of the Commission. He is member of the Board of Trustees of the Cairo Regional Centre for International Commercial Arbitration (CRCICA) and president of the International Academy of Construction Lawyers. Mr Schneider lectures at the University of Fribourg LLM Programme and was Director of Studies at the Centre for Studies and Research at the Hague Academy of International Law (Transnational Arbitration and State Contracts). He studied law and history at the universities of Munich, Bonn and Geneva and completed the 1st and 2nd State examination (capacity to hold office as a judge). He completed postgraduate studies at the Graduate Institute of International Studies in Geneva and is a former AIESEC trainee with the Shell Company in Sierra Leone. Michael E. Schneider is a well-established figure in the Swiss market where he stands out for his “enormous experience in construction arbitration”. He comes “highly recommended for his impressive and efficient practice”. Experienced advocate and arbitrator Michael Schneider commands respect for his expertise in international arbitrations, both commercial and investor-state. One source reports: "He has a deep understanding of cultural and legal differences and puts this to good use to get results." He is based in Geneva. Michael Schneider is described by sources as "a top name in construction and energy disputes" and "a legend" in the field of arbitration. In addition to his strong focus on construction and energy arbitrations, he acts on real estate disputes and setting-aside proceedings. Schneider acts as counsel, chair and co-arbitrator. Michael Schneider of Lalive is highly rated for his decades of experience in the field of international arbitration and is admired for his work as both counsel and arbitrator. He is frequently appointed to sit in contractual and treaty disputes, notably in the energy and construction industries. Sources praise him as "full of ideas, very dedicated and super well prepared." He is based in Geneva. Michael Schneider is highly sought after as an advocate in complex commercial and investment treaty cases, as well as frequently acting as arbitrator in ICSID and ICC tribunals. Market sources advise that he is an "outstanding lawyer" who is "top in the world of arbitration and very admired." Schneider is based in Geneva and often handles arbitrations relating to construction, infrastructure and energy projects. Peers say that Michael Schneider's superb reputation in the Swiss market is a key source of work for the firm's commercial arbitration practice. In addition to his work as counsel, Schneider is frequently appointed as arbitrator on commercial and investment treaty cases. He attracts particular praise for his experience in construction arbitrations involving projects in Europe and the Middle East. Michael Schneider has long-standing experience acting both as arbitration counsel and as arbitrator on domestic and multi-jurisdictional disputes relating to infrastructure projects, breach of supply agreements and partnership dissolutions in the transport and energy sectors. Peers state that he is a "very well-known figure" in the Geneva market and highlight his "attention to detail." “Legendary arbitrator” Michael Schneider is internationally respected as “a top name” in the arbitration arena, is highlighted for his “outstanding” expertise. "A great name for arbitration, very experienced: an outstanding arbitration connoisseur." Michael Schneider is an “outstanding” practitioner who is commended for his “quick grasp of complex issues”. A "highly respected international arbitration practitioner" with expertise in energy disputes, construction and price review arbitrations, as well as investor-state disputes. "He is a real star and one of the smartest lawyers in the market." Michael Schneider "is the most formidable Swiss practitioner, with great experience and real stature." "He has a lot of charisma and is an impressive advocate." "He's extremely hard-working, thorough and responds as things arise and develop during hearings." Michael Schneider “is one of the biggest names in the business,” he is “effortlessly intelligent” and “supremely efficient”. "One of the leading names in arbitration," Michael E. Schneider is a distinguished arbitrator based in Geneva who regularly presides over multi-jurisdictional disputes. He is also praised by clients for "offering absolute pragmatism in his approach." "An expert, offering absolute pragmatism in his approach. He is so well known, it is difficult to add to his prestige." Lauded as ‘first-class’ and ‘one of the titans in this field’. ‘A tireless and extremely dedicated’ practitioner. ‘He is incredibly experienced in international arbitration, and is a sharp and pragmatic lawyer’. He has advised on numerous multibillion-dollar disputes involving parties from a range of industries, such as gas price reviews, and cases concerning telecommunications and construction. ‘Extremely thoughtful’ and ‘encyclopaedic in matters of arbitration’. Among 25 most highly regarded individuals. ‘Michael Schneider has ‘the perfect combination of great experience, maximum pragmatism and deep knowledge’’. ‘Arguably the best lawyer in the field of arbitration’. Michael Schneider, who is praised for "his excellent strategic foresight". ‘Extremely sharp, tenacious and diplomatic’. Michael Schneider has an excellent reputation as an arbitrator and counsel. Sources say, ‘Even though he’s really busy, he always has time to speak to his clients’’. ‘He is a brilliant mind and an amazing counsel’. Moscow 30/03/2018 Michael E. Schneider Speaker: Interactive Arbitrators? Optimistic Proposals and Cultural Baggage. For more information, see the invitation. Abu Dhabi 22/02/2017 Michael E. Schneider President / Moderator: GAR LIVE Question Time – The Gulf Region: A legal melting pot or a clash of legal cultures? London 08/11/2012 Michael E. Schneider Co-chair: How to make International Arbitration work better? For more information see the programme and the new ICC Rules of Arbitration. For more information see the website of Arbitration Academy. Zurich 06/02/2009 Michael E. Schneider Speaker: Cross-examination – How helpful is it for finding the “Truth”? For further information, see Mr. Schneider’s conference paper and the programme. The relevant conference materials are available here. For more information, see the programme or the website of the Dubai Arbitration Centre. For more information, see the course outline (International Construction Contracts) and course outline (International Joint Ventures).